Our purpose is to spread the Good News…that Jesus Christ is Lord! one Tract at a time. We want people to accept Jesus Christ as Lord and Savior. We believe the people in Nigeria can be reached for Christ through Tracts. I pray that what you read on this page will encourage you to become a laborer for the L ord. Perhaps you have been looking for that special way in which God would use you to witness. Maybe He is directing you now through this message to become a part of a Tract Ministry. Why not begin today and let God use you to help lead others to Christ! Success in witnessing is simply sharing Christ to others, always need variety of tracts for free distribution. 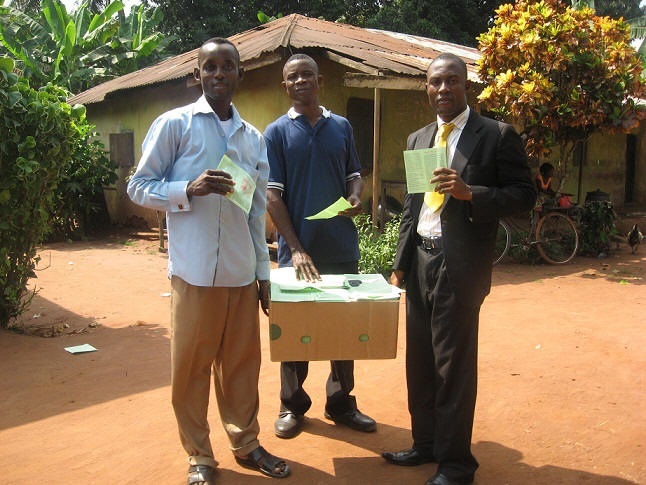 We distribute free gospel tracts, as God provides. Perhaps you could be the one to send Gospel Tracts to Spread The Word. 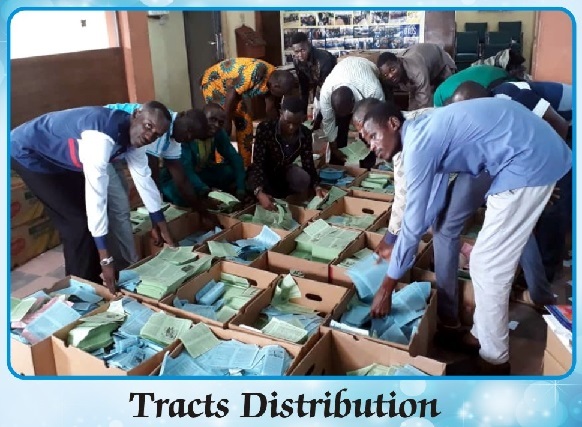 We have distributed over 20.5 Million Gospel Tracts through Churches, Missionaries and Evangelist in Nigeria. We are ready and committed to the great commission Matthew 28: 18-20.